For those readers of this blog that are not UK-based, Radio Four is a voice and news radio service, and Radio Three is a classical music radio station provided by the British Broadcasting Corporation (BBC). I use this as proxy to describe anything I regard as being of high quality. e.g. 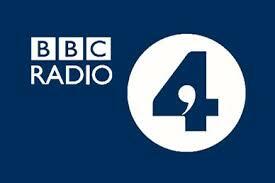 that’s the Radio Four of cars or the Radio Four of clothes etc. The reason I like Radio Four (and indeed Radio Three) is because they are just great. Things happen. Quietly. Without fuss. Without advertisements (they’re publicly funded). They are good at what they do and whatever they tackle is just done properly, particularly in comparison to the private sector. In effect BBC radios Four and Three are cornerstones of civilisation for me as self confessed middle class (or at least middle class aspirant) UK citizen. I would put other services and brands in the same bracket, Waitrose food, John Lewis department stores, British Airways air travel, Aston Martin cars, Trickers shoes etc etc. For the ultimate version, try an Anglican English Cathedral evensong (religion but with fabulous music and not too much religion imposing) I think they all, for me, represent a something uniquely British – the very best, well done, well delivered and world class. So why this jingoistic apologia for Britishness? (well it’s nothing about the upcoming Scottish independence vote, though clearly we’re better together. Scots are great, so are the English (and Welsh and Irish), but as the British we are world-beating). It is because internal audit does not really have brand differentiation. We assume all internal auditors are capable, are equal. Clearly this cannot be the case. When I worked for a professional services firm we, as a big firm, had a good reputation, better than smaller competitors. But even across the big firms it was difficult to identify the competitive edge or brand of the internal audit providers in the market. So why is internal audit not prone to such competition and differentiated branding? The car market provides similar services (cars that allow you to get from A to B) but one can tell instantly whether you would want an Audi, BMW, Mercedes, Ford, Nissan or other for your car (subject to budget). Surely audit services can be differentiated? I have always taken the approach, once I led my own team as a CAE, that branding and differentiation is important. I have always pitched the audit at being high quality, high capability. Why? Well internal audit is a disproportionally small part of most organisations, so it must be good to make any impact at all. Second the demands on internal audit functions now mean it needs to be excellent to deliver the breadth and depth of role it is increasingly being asked to do. Third, internal audit is meant to be an independent part of an organisation. As such it needs to clearly brand itself as such. The look, feel, quality of documents should be tangibly different to the rest of the organisation. Thankfully in most organisations a half decent grasp of Microsoft Office is enough to achieve this. So when my audit team gripe that I like a specific blue, or a specific point spacing between bullets and a house style, I show them the lessons I learned at the big four. A green dot, blue square, orange and brown lettering all provide that basic comfort that branding is meant to, an assurance of comfort and quality. This stuff does matter. But core to any audit function is being right. This the core to an audit brand. Not being 100% right, nor arrogantly assuming that audit has the right opinion and view of all matters (my blog talks about the fact that I do not believe in 100% right, the world is full of greys). It is ‘right’ in the sense of not being ‘wrong’, that is manifestly wrong, getting the wrong opinion. For an audit brand is about having the supporting evidence, thoughtful analysis, appropriate combination of context dependent and context independent knowledge brought to bear to a problem or challenge. For as one buys an expensive car on the promise of trouble free motoring, one purchases a good internal audit service with the expectation of a strong, thoughtful, challenging, independent, but contextually understanding and supportive ally to improve the organisation’s risk management and delivery of business outcomes. So one wants a strong brand, but not one that shouts or is over the top (for example commercial radio with its loud advertisements or discount airlines with their gaudy colours and equally gaudy service) but a quiet reassuring brand. As soon as something enters my internal audit function, I want it to enter the advertisement and noise free world of a high quality internal audit service, and emerge much the better for the experience. Is this easy to achieve? No. For quality is not cheap and quality is not easy to ensure. As a CAE however, I would feel I let myself down if I did not at least aim for it. So when you last interacted with your internal auditor, was it Radio Four or not?